This is not the first time Nemi responds in a non-commital way, fufu. I am punching the air right now. Honestly, I'm not sure! :'D is this something that you've experienced before? Daaaaaaaaaaaaw!!!!! Nemi blushing is like the cutest thing ever. Aww boo, I don't know RWBY :'D but I'm curious to know what ship that is! Plz don't sink the ship. Oh man, any time things are this adorable, I get afraid something terrible is about to happen. 'Little' agility boost in his eyes = Bruce Lee speed in Her fist now. 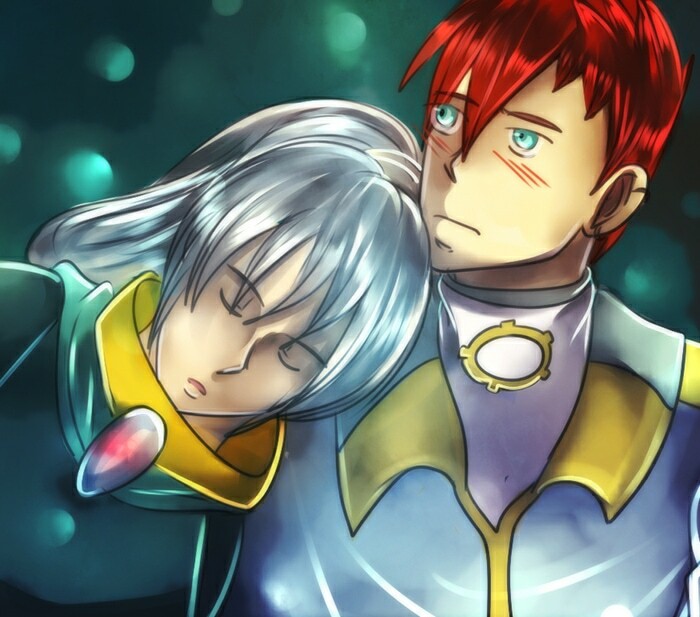 OMG RUFI Just...OMG........ you're either trolling us REALLY BAD with this beautiful, wonderful shippy scene X"D...... oooor you are making our dreams come true X'D. The ship is about to hit the fan, I'm afraid. DID HE JUST GIVE HER A WEDDING RING?! A MAGICAL WEDDING RING?! Seriously, superb work, my friend. I'm more and more impressed with your talents with each update. *Counts fingers. Kijini have no thumbs then for that to be finger #4 instead of #3. Might explain why they have a natural affinity for thievery, unless going along with the saying 'five-fingered discount'. You might want to count again. From both sides of the hand, just to be sure. Yes, good. I wonder, do they have the same traditions on ring fingers as we do? YESSSSSSSSSSSSSSSSSSSS! I SHIP THEM SO MUCH!!!! @#$)(&)@(#$@! I have no words... I LOVE IT!